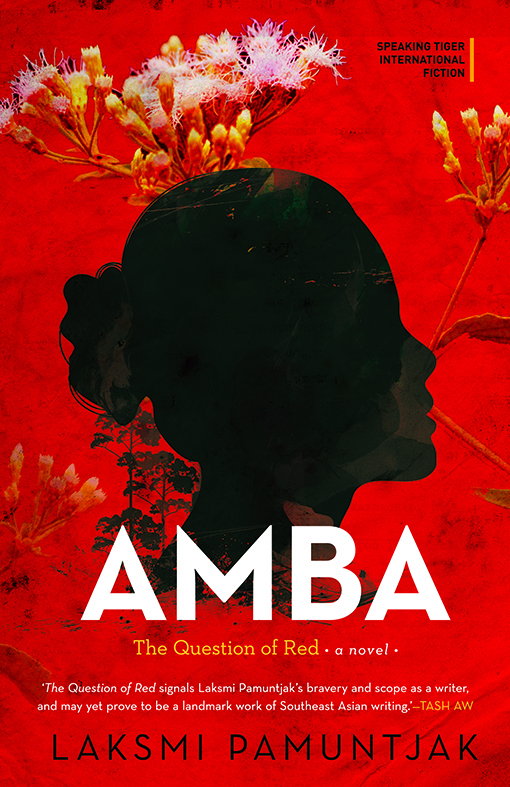 After winning Germany's LiBeraturpreis 2016,Amba/The Question Red is now available in the Indian Subcontinent. Published by Speaking Tigers, the novel is now available in bookstores in India, Pakistan, Bangladesh, and Sri Lanka and through Amazon.com. One of Asia's greatest modern love stories! It is never easy to combine personal tragedy and love with a political holocaust, but Pamuntjak writes with such enormous confidence, emotional maturity and beauty that she has no problem merging the two. This novel, translated by herself into English, unquestionably places Indonesian fiction on the map of the 21st century and Pamuntjak as one of its principle writers. A huge bestseller on its publication in Indonesia, The Question of Red signalled Laksmi Pamuntjak's bravery and scope as a writer, and may yet prove to be a landmark work of South East Asian writing. This heart wrenching novel is much more than a long overdue look at Indonesia’s genocidal past. It is a poetic reflection on the traumas that divide a society and the emotional as well as political complexities in addressing and thus healing them. … perfectly captures the dizzying unsteadiness of a traumatized world poised between normalcy and catastrophe. The novel combines poetic language and the conviction of literature as an instrument of enlightenment without once sacrificing its aesthetics. Great literature lights our way and helps us to understand distant worlds; the best books make us part of those worlds - with all their horror, as well as their resplendence and intelligence. That's the kind of literature that Laksmi Pamuntjak writes.